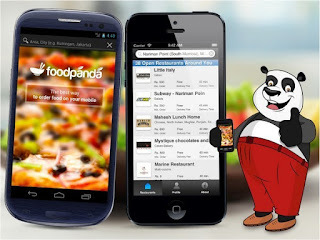 New Delhi [India] : India's leading online marketplace for food delivery foodpanda has announced the expansion of their delivery service to restaurants across major cities. The brand, which launched its own delivery arm early 2015, will now be working as third party logistics partner to its restaurant base. 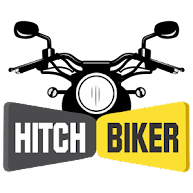 Being run in the pilot phase for three months, the initiative is now live across Delhi, Mumbai, Gurgaon, Hyderabad, Mumbai, Pune and Bangalore. Over the last two years, foodpanda has built a strong partnership with thousands of restaurants to deliver through foodpanda delivery services, fulfilling over 45 percent of the gross orders through the delivery fleet. The product will have two offerings to partner restaurants- A fully integrated solution where in all orders would be fulfilled by the brand's delivery riders and the other one where restaurants can take up customized service on a need to need basis. In the initial phase of the program, the brand has on boarded more than 500 partner restaurants and the number is expected to reach around 1500 in the next three months. The restaurants would be charged on a per order basis. "We have rigorously invested into the technology to make the delivery experience seamless for the users. Now with our new delivery product offering, we intend to be significant support system for our partners by easing hassle of delivery for them and extend best-in-class service levels to more customers; furthering our resolve to change the way India eats," said CEO- foodpanda India, Saurabh Kochhar. "The new business partnerships with the restaurants are aimed to provide better services and to further expand our delivery network across the country. With technology as the backbone and relentless focus on operations, we have achieved excellent two way optimization of our resources. We are currently able to deliver orders within 35 mins on average, which we further plan to improve on. With Dash we plan to extend this benefit to our restaurant partners thereby strengthening the delivery ecosystem across the nation," said COO- foodpanda India, Kunal Suri. The expansion of the delivery ecosystem by foodpanda would be aimed at optimizing efficiency of existing on-ground fleet which was initially used only for orders placed through the brand.